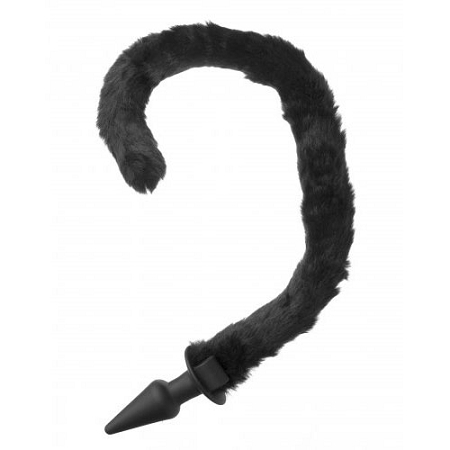 Get ready to be a bad kitty with this long, furry, flexible cat tail topped by a naughty plug. 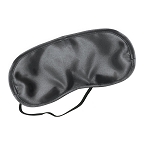 The silicone material is hypoallergenic, phthalate-free, and non-porous for easy and safe play! 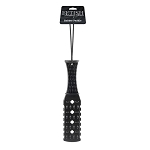 A classic spade shape helps it slip in easily and stay in place for extended wear. Two handy loops at the base let you turn up the passion by adding your own bullet vibrators. The tail itself is bendable, and nearly two feet long! Covered entirely in super soft synthetic fur, there is even a tinkling bell to help you keep track of your feisty feline. Be a naughty kitty cat with this fun and flirty visual treat! Measurements: 28 inches in total length, tail measures 24 inches in length; Plug: 4 inches insertable length, 1.4 inches in diameter.